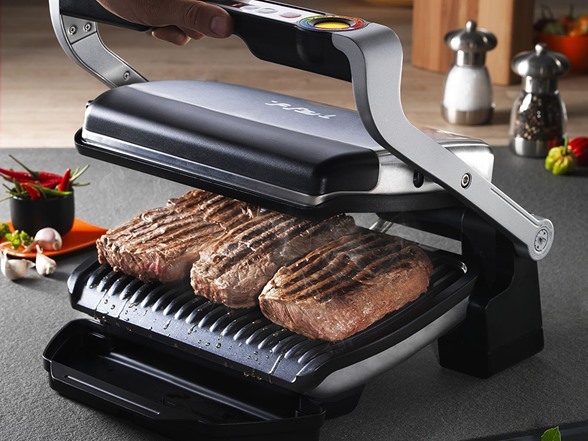 The T-fal OptiGrill is the first electric grill with Precision Grilling Technology which cooks food to your preference based on the program selected (burger, poultry, sandwiches, sausage and pork, red meat or fish) and by measuring the thickness of the food. The OptiGrill automatically adapts its grilling cycles to the thickness of the food. Thanks to a unique cooking level indicator, it lets you know the cooking progress and beeps at Rare, Medium and Well-done so you know when your meal is cooked the way you like it! The OptiGrill also features a defrost setting for cooking food from frozen to perfect in minutes and a manual setting for vegetables and personal recipes. 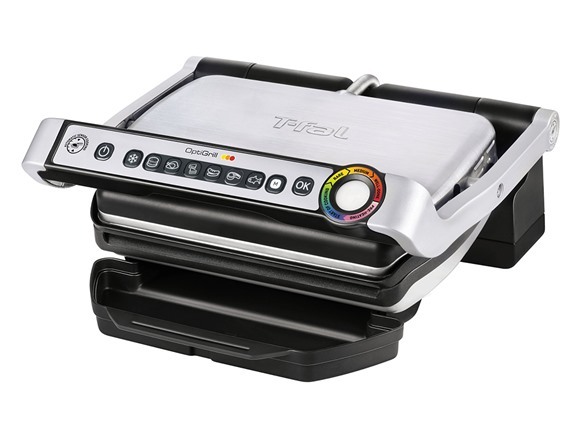 The T-fal OptiGrill has a powerful 1,800-watt heating element and die-cast aluminum, non-stick coated plates. The plates are removable and dishwasher safe, for easy clean-up. 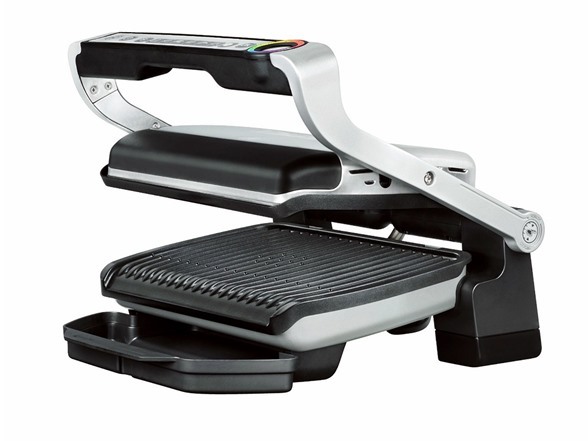 The T-fal OptiGrill automatically adapts the cooking time to the thickness of the ingredients and indicates the precise cooking level from rare to well done. An indicator light allows you to monitor your cooking – yellow is rare, orange is medium, and red if you like your food well done. The OptiGrill beeps telling you when your food has reached your preferred doneness. 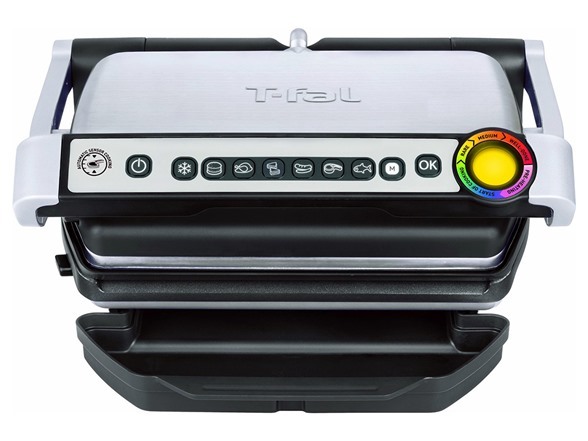 The T-fal OptiGrill has 6 cooking programs (burgers, poultry, sandwiches, sausage and pork, red meat and fish) that automatically adapt the cooking process to each type of food and cook it perfectly. The 2 cooking modes: one for frozen food, and a manual mode allows for even more cooking versatility.